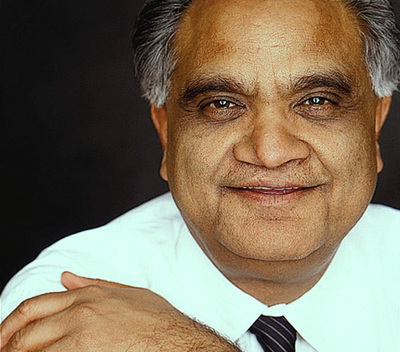 Dr. Anil K. Gupta is widely regarded as one of the world’s leading experts on strategy, globalization and entrepreneurship. 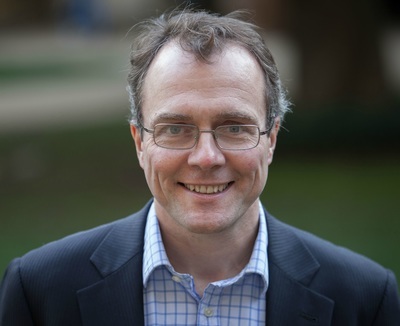 Ranked by Thinkers50 as one of the world’s “most influential living management thinkers,” he has been named by The Economist as one of the world's "superstars" in a cover story on "Innovation in Emerging Economies." Anil is a member of the World Economic Forum’s Stewardship Committee for the Initiative on the Future of Consumption, as well as The Bretton Woods Committee set up by the World Bank and IMF to advise them on solutions to global challenges. He will be attending the World Economic Forum’s Davos Summit in January 2017 and has also been a regular participant at the Forum’s regional summits in China, India, and the Middle East. 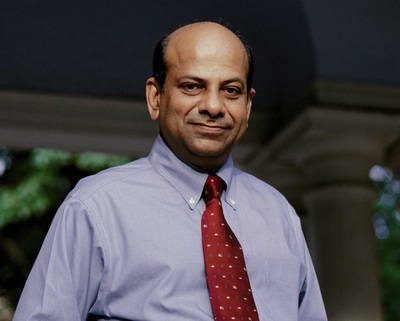 He is one of only 3 professors in the world to have been elected by his peers as a Lifetime Fellow of the three most prestigious bodies in the field – Academy of Management, Strategic Management Society, and Academy of International Business, with a combined membership of over 25,000 scholars worldwide. 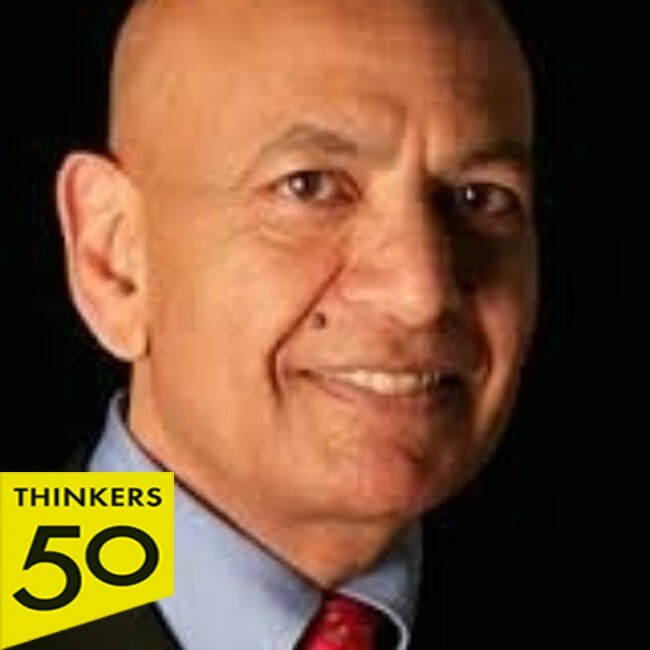 Anil serves as a columnist for Bloomberg BusinessWeek, as a Contributing Editor for Chief Executive Magazine, and as a contributor to HBR.org. His opinion pieces have also been published in The Wall Street Journal, Financial Times, Chief Executive Magazine, Daily Telegraph, China Daily, Economic Times, and other outlets. He has been interviewed by Harvard Business Review, Economist, The Wall Street Journal, The Washington Post, USA Today, BusinessWeek, Forbes, BBC, CNBC, Bloomberg TV, Reuters TV, as well as other top-tier media. Anil serves regularly as a keynote speaker at major conferences and corporate forums in the US, Europe, Asia, Latin America, and Africa – including the World Economic Forum, Economist conferences, Chief Executive magazine’s CEO2CEO Summits, and the Yale CEO Summit. He has also served as a consultant, keynote speaker and/or executive education faculty with some of the largest corporations in the world including GE, Wal-Mart, IBM, HSBC, Deutsche Bank, H-P, SAP, Microsoft, Schneider Electric, TOTAL, PPG Industries, MTN Group (South Africa), Accenture, Astra Zeneca, Marriott, First Data, Jacobs, Monsanto, ABB, Lockheed Martin, McGraw-Hill, Indian Oil, Huawei, TeliaSonera, Metso, UPM-Kymmene, Finnair, Cemex, and Penoles. Anil has served as an elected board member for several companies including Origene Technologies (a gene cloning company), Omega Worldwide (NASDAQ), Vitalink Pharmaceutical Services (NYSE), NeoMagic Corporation (NASDAQ), and TiE-DC, the premier organization of entrepreneurs and VCs in the U.S. Mid-Atlantic region. He also serves on the advisory boards of the E-Ship Centre at IIT Bombay, and Asia Silicon Valley Connection. He has also served as an advisor to the US-India Business Council. Anil is the Michael Dingman Chair in Strategy, Globalization and Entrepreneurship at the Smith School of Business, University of Maryland at College Park. 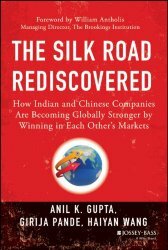 Anil also serves as chairman, The China India Institute, a Washington DC-based research and consulting organization. He has earlier served as a Chaired Professor in Strategy at INSEAD and a visiting professor at Stanford University and Dartmouth College. He received a doctorate from the Harvard Business School, an M.B.A. from the Indian Institute of Management at Ahmedabad, and a B.Tech. from the Indian Institute of Technology at Kanpur. One of only 3 professors in the world (out of over 25,000) to have been elected by his peers as a Lifetime Fellow of all three of the most prestigious bodies in the field – Academy of Management, Strategic Management Society, and Academy of International Business. Gobal Megatrends and Game Changers. 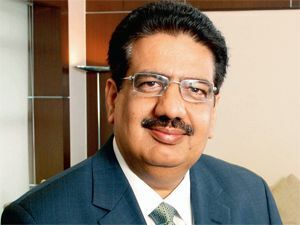 Anil Gupta outlines the biggest global trends and game changers of the next decade and what they mean to you. By 2025, emerging economies like China and India will grow from 1/3 of the global GDP to about half. China will have caught up to the U.S. in terms of economy, and India, will be the third largest in the world. This growth will not always be even, though, or evenly distributed. Gupta looks at the coming two-speed economy and outlines the factors that will shape global business and the world – diverging demographics, stressed natural resources, and empowered individuals. 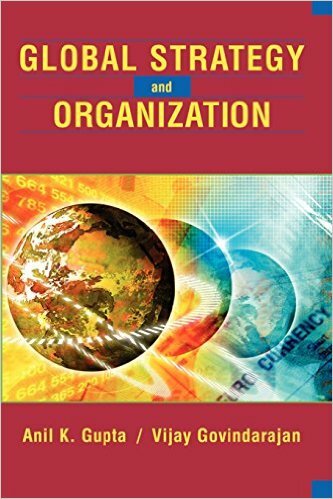 In a multi-polar business world, what are the ramifications for multinational organizations? Who thrives in this new environment? Based on solid data and rich examples, he shares insights on the business world in 2025 and helps audiences navigate – and succeed in – the shifts ahead. Emerging Markets: Diverging Futures. the days of emerging markets moving up in tandem are indeed over. China is unlikely to remain the driver of a worldwide commodity boom. Similarly, the U.S. is unlikely to remain the font of easy money for much of the world. From here on, only those emerging markets that are able to undertake much needed internal reforms (stable governments, investment in infrastructure and education, and institutions that are efficient as well as responsive to citizens’ needs) can hope to thrive. Others run a serious risk of being trapped at their current low- or middle-income status for a very long time. Professor Gupta also shares his analysis of which countries appear to be better bets than others and what these developments mean for companies and investors. Asia’s Rise and Its Implications. Asia’s rise will be one of the defining game changers for the global economy in the 21st century. Asia today accounts for about a third of the world’s GDP as compared with about a quarter each for North America and Europe. Since Asia continues to grow faster than each of the other two continents, it is almost certain that, by 2025, Asia’s GDP will be larger than that of the US and Europe combined. Further, Asia’s impact on the global economy is multidimensional – as a mega-market, as the world’s factory, as a rising hub for global R&D, as a source of capital, and as the springboard for the rise of new global champions. Asia is also becoming more “Asian” in that intra-Asia trade is growing faster than Asia’s trade with the rest of the world. This talk will examine the forces propelling Asia’s rise and discuss a number of related questions. Getting China and India Right. 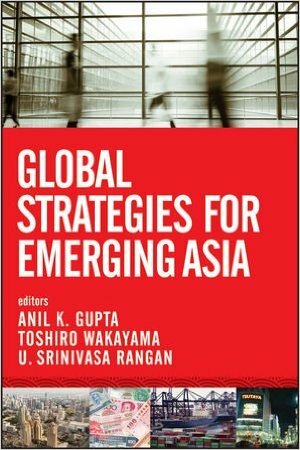 Based on solid data and rich examples, Gupta illustrates that China and India are the only two countries in the world that simultaneously constitute four game-changing realities: mega-markets for almost every product and service, platforms to dramatically reduce a company’s global cost structure, platforms to significantly boost a company’s global technology and innovation base, and springboards for the emergence of new fearsome global competitors. This talk outlines how companies can leverage the market and the resource opportunities presented by the China and India phenomenon to achieve global dominance within their particular industries. Global Enterprise 2020. What must today’s corporations do to emerge or remain as the global leaders in their industries ten years from now? The answer lies in: (i) rethinking global strategy i.e., commitment to emerging markets, atomization of the value chain, and leveraging global platforms to create highly customized local solutions; (ii) rethinking global innovation i.e., 360-degree innovation, distributed innovation, open innovation, and frugal innovation; (iii) rethinking global organization i.e., connect-and-coordinate rather than command-and-control plus a strong one-company culture; and (iv) globalizing the corporate mindset i.e., cultivating leaders who combine in-depth knowledge of key markets and cultures with an ability to connect the dots globally. Cultivating A Global Mindset. Far too many companies are blind to the ongoing transformation of the global economy and the real opportunities and challenges resulting from this transformation. The winning global leaders, whether individuals or companies, will be the ones with a global mindset who truly grasp the unprecedented transformation of the global economy and possess the capabilities to sense, filter, and integrate diverse opportunities on a global scale ahead of the pack. Anil Gupta offers concrete guidelines that individuals and companies can use to develop a global mindset, which requires not only an openness to and knowledge of diversity across cultures and markets, but also the ability to integrate across this diversity. Smart Globalization – Building and Leveraging Global Presence. Anil Gupta shares insights from his research and consulting experience about why most companies talk incessantly about the benefits of synergy but find it very hard to actually realize these benefits. He talks about how companies can sidestep three common pitfalls in the pursuit of synergies: assuming that just because two businesses have something in common, there must be synergies; ignoring the possibility that alliances between independent companies may sometimes be more effective and efficient than internal coordination between peer business units; and, looking only at the potential benefits while ignoring the costs associated with trying to realize synergies.